15 Best Mehndi Backdrops we spotted in Real Weddings! Mehndi decor backdrops are undoubtedly the most attention grabbing set-ups. It adds the wow factor to all the bridal portraits and serves as the perfect photo booth for everyone. If you are having a hard time from deciding how your mehendi backdrop is gonna be, weather it’ll be the genda-phool extravaganza or the boho decor way, I’ve got you covered. 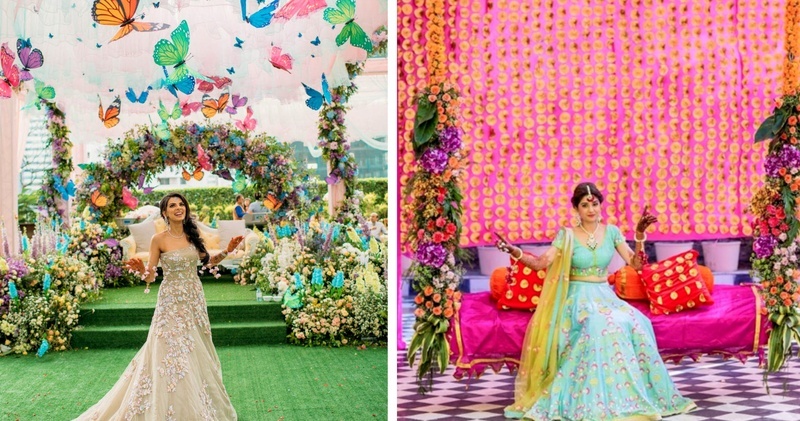 Here’s listing some ah-mazing mehndi decor backdrops that will totally make you mesmerised. From the funky swings to dream catchers, checkout a set of interesting backdrop decor ideas to choose from for those quirky mehndi photos! Hope you're all having a bright and cheerful Sunday!! !